Carl S. Miller, 90, formerly of Greenwich Township, passed away on Monday, January 28, 2019 in Genesis Health Care - Laurel Center, Tilden Township, where he was a resident since October, 2018. He was the loving husband of Marilyn M. (Spatz) Miller, whom he married on June 25, 1949. Born in Perry Township, Carl was a son of the late Stanley O. and Mabel H. (Hein) Miller. He was a 1947 graduate of the former Perry High School, Hamburg. While in high school, Carl was very active in the Future Farmers of America, and even played his cornet in the F.F.A. State Band Concert. He also won several awards while showing his pigs at the PA Farm Show. He was also a member of the basketball team. Carl was a member of Zion's Church, Windsor Castle, where he was a former member of the church Consistory. Carl was a self employed farmer, starting his hard-working career on the family farm in Perry Township, and later, moving to a farm in Greenwich Township, until his retirement in 1986. Most recently, Carl worked part-time at Delp Hardware, Blandon and Kuzan's True Value Hardware, Shoemakersville. Carl served as President of the Young Farmer's Association, and also attended the yearly conventions which were held all over the country. Carl was a member of the Virginville Grange No. 1832, the former Virginville Lion's Club, Virginville Fire Company, and the Berks, Pennsylvania and American Farm Bureaus. Carl was an avid bowler, and competed in several national tournaments in Florida and Minnesota. He also loved attending Kutztown High School girls basketball and softball games, where he was known as "Pop Miller". In addition to his wife of almost 70 years, Marilyn, Carl is survived by his children, Carline M. (Miller), widow of Nelson E. Blatt, Hamburg, Diane L. (Miller), wife of Robert A. Kern and widow of William C. Dietrich, Kempton, Bonita L. (Miller), wife of Michael Gehringer, Westfield, Potter Co., Candace E. (Miller), widow of Donald Walton, Jr., Kutztown, Jeffrey C., husband of Beth (Cooper) Miller, Kutztown, and Tamara S. (Miller), wife of Dean A. Mathias, Mertztown; 18 grandchildren; 33 great-grandchildren; and two great-great grandchildren. He is also survived by two brothers, Paul J. Miller, Shoemakersville and Ernest O. Miller, Hamburg. In addition to his parents, Carl was predeceased by an infant daughter, Melody LuAnn Miller in 1967, and a sister, Anna M. (Miller) Bailey. 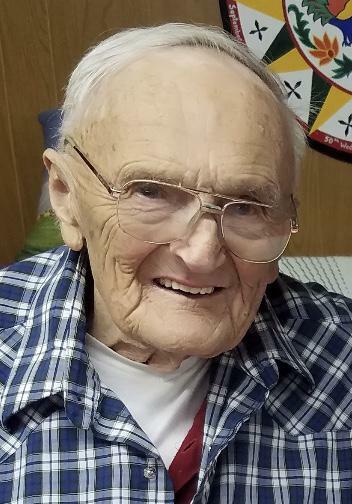 A funeral service to celebrate Carl's life will be held on Saturday, February 2, 2019 at 1:30 p.m. in Zion's Church, 770 Zion's Church Road, Hamburg, PA with his Pastor, Reverend Randy Bond, officiating. Burial will follow in the adjacent Zion's Cemetery. Relatives and friends are invited to a viewing on Saturday from 11:00 a.m. to 1:15 p.m. in the church. The family requests that contributions be made in Carl's memory to Zion's Church, 770 Zion's Church Road, Hamburg, PA 19526 or online at www.zionschurch.org. Ludwick Funeral Homes, Inc., Kutztown, is in charge of arrangements. Memories and condolences may be shared at www.Ludwickfh.com. Carl was a wonderful man who brightened the lives of many. He will be missed but not forgotten. I am sorry for your loss, I know it's rough. In 1969 Carl was one of the very first to come to the farm to welcome Frank and me into the farming community of Windsor Twp and Berks County. He went out of his way to befriend us and make us feel 'at home' in our new surroundings. In the years since, whenever we'd meet up with him, he has always been so friendly and interested in the lives of these New Jersey transplants of long ago. We appreciated that. May God keep you in His care. Please share your memories of Carl.